Which coins to mine with low-end GPUs? Let’s get into it. 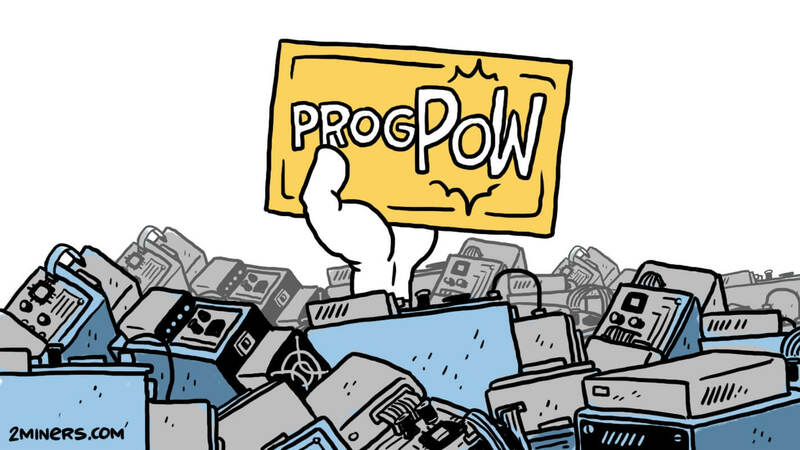 At the dawn of the crypto era, people mined Bitcoin using CPUs. Today it’s different. For example, after Zcoin hard fork in December XZC mining required as many as 16 GB RAM and GPUs with memory no less than 6 GB. Only a few people own this type of hardware – the rest has to get by with more affordable equipment. 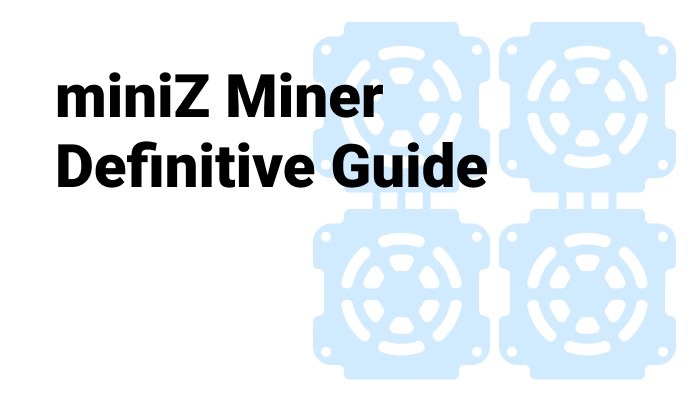 We will use two methods to discover the best coins for mining. 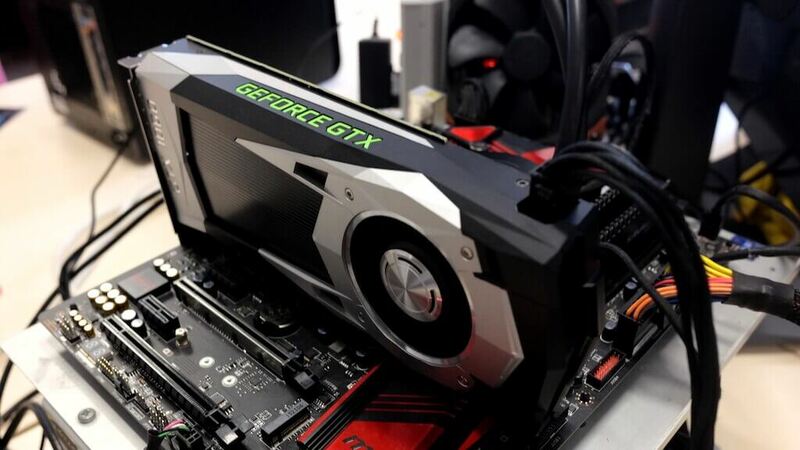 First, we will find out the mining profitability of the most popular low-end GPUs. Then we will analyze different cryptocurrency networks to find the lowest mining difficulty. The lower the difficulty, the better the performance of GPUs during solo mining and the higher the chances to find a block with only one GPU. We will analyze four models – Nvidia 1050Ti, Nvidia 1060, Radeon R9 380 and Radeon 470. As always, we will use WhatToMine calculator for this. 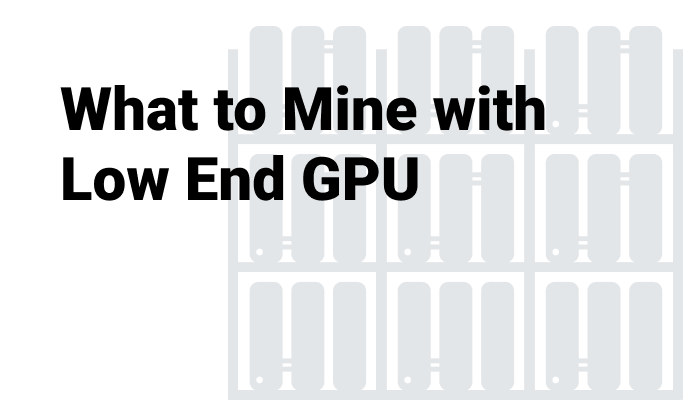 We indicated one GPU with every chip. And we also marked all available algorithms. According to the calculator, 1050Ti generates 13.9 Mh/s on Ethash and 17 h/s on Equihash. Whatever the numbers are, low-end Nvidia graphics cards can’t mine Ethereum or Ethereum Classic. Let us remind you that 2GB/3GB GPUs are not enough anymore to download the DAG file of these coins. So we have to search for cryptocurrencies with a smaller DAG file, like MOAC, CLO, etc. The calculator recommends Ravencoin. One GPU brings $0.15 per day at the cost of $0.046 per kWh. 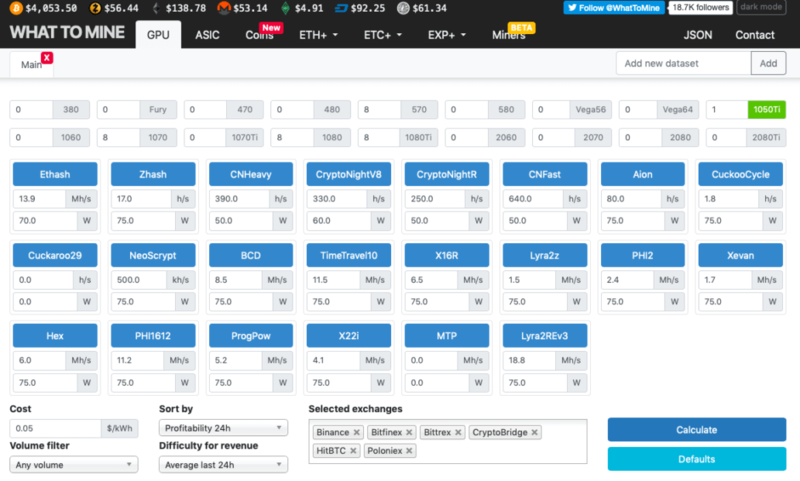 Apart from NiceHash, you should consider Aeternity and SUQA – they bring $0.10 and $0.09 respectively. By the way, Ravencoin (RVN) mining pool on 2Miners expected in April. Next is Nvidia 1060 that generates 22.5 Mh/s on Ethash and 27 h/s on Equi. What to mine on this one? Here the most profitable coin would be Aeternity with $0.14 of net profit. 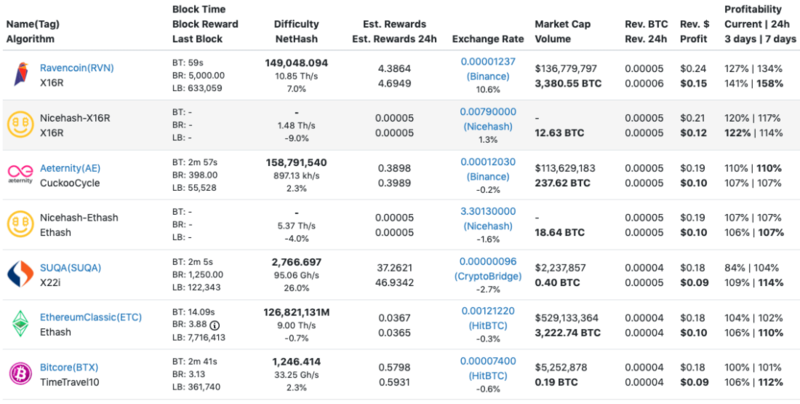 Ravencoin and Grin come second and third. They bring around $0.12. 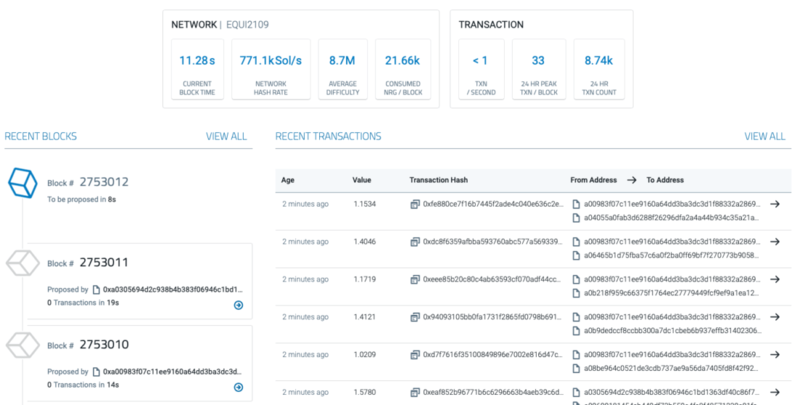 Radeon R9 380 generates 20 Mh/s on Ethash and 16 h/s on Equihash. Sounds good, but in reality, it’s no use. The graphics card consumes too much power so that mining can be profitable only with free electricity. At the current exchange rates, mining profit is negative. If you have some spare money and swear by Vitalik Buterin, feel free to mine Ethereum. Though it’s easier to go to an exchange and buy coins. Luckily, 480 shows better results. 29.5 Mh/s and 21 h/s respectively. And it’s profitable. BitTube on CryptoNightSaber algorithm will bring the highest profit – $0.12. Ethereum Classic and Ethereum are also on the list. WhatToMine can also sort results by mining difficulty. The lower the difficulty, the better the performance of a single GPU during mining. There are four somewhat popular cryptocurrencies to take into consideration. 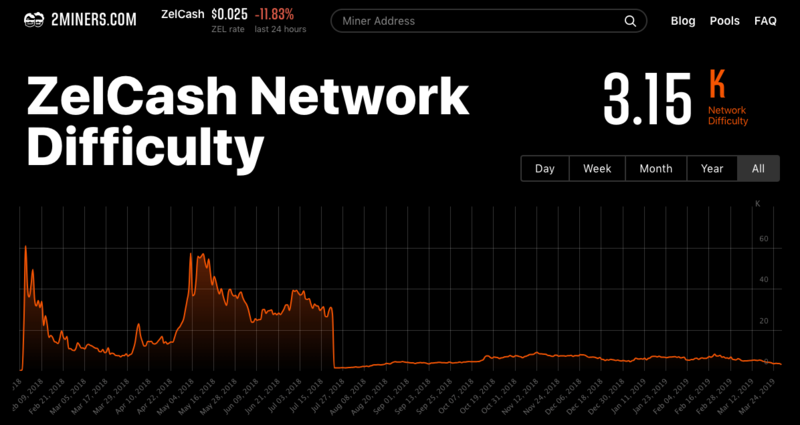 Over the last six months, mining difficulty in the network of the coin has been extremely low. The minimum hasn’t been reached yet, but it’s close. This is the most popular coin among users with less powerful equipment. The coin featured in almost all coin’s rankings for affordable solo mining. 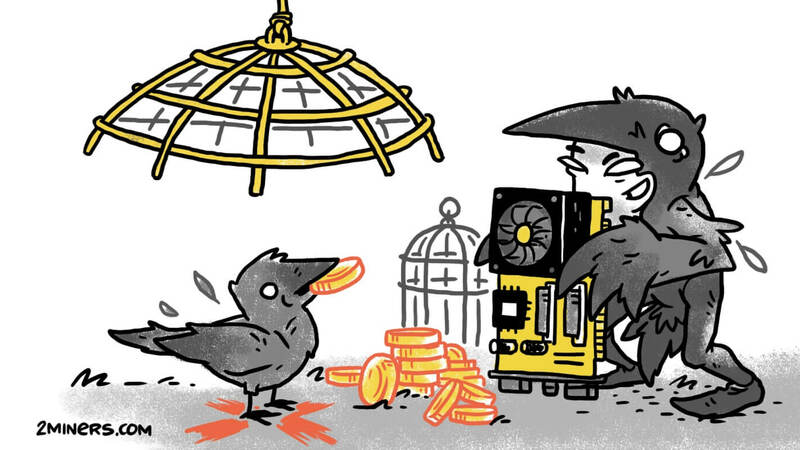 The popularity of RavenCoin among miners is growing. 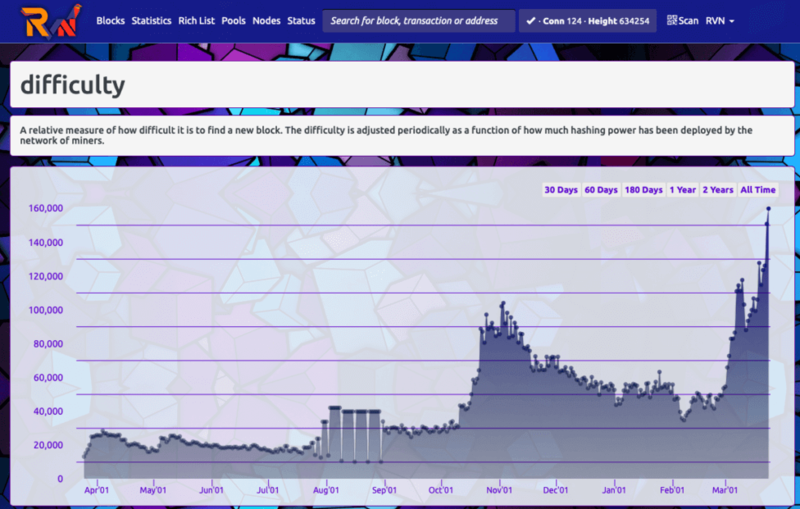 Look at the coin’s mining difficulty chart. It’s been peaking for at least a year. The last coin to consider is AION. There are no decent websites on the Internet that feature the coin’s mining difficulty chart, so we have to take the data from WhatToMine on trust and check the network explorer once in a while. What do you mine on weak GPUs? Share your answers in the hodler crypto chat.